Mangore | Bellucci Guitars - Tomaso Albinoni, "Adagio"
I have wanted to transcribe this amazingly beautiful work for many years but was never comfortable with the material I had at hand in order to start my work. Albinoni told the story of his city, Venice and if you did not know that the piece was inspired by this iconic Italian city, you would guess so simply because Albinoni used the music so perfectly to reflect what he saw there day in and day out. 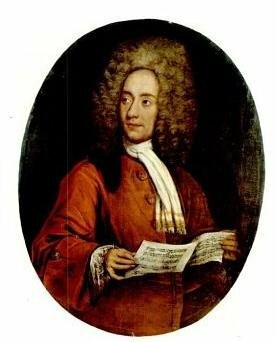 Bach loved the work of Tomaso Albinoni and the Venetian musician was an inspiration to several Bach works. This fact was all I needed to know in order to gather enough strength an finally come up with my own transcription. It is worth mentioning that Albinoni was not a "professional musician", but a prolific violin player son of a wealthy merchant Venetian family and as always within rich families, one was allowed to play an instrument but "not too well". Rich people at the time hired professional musicians. This amazing piece of music is often referred to as "Albinoni's Adagio", or "Adagio in G minor by Albinoni arranged by Giazotto", this description is actually incorrect. Giazotto discovered a small manuscript fragment ( a few opening measures of the melody line and basso continuo portion) from a slow sonata second movement. Giazotto obtained the document shortly after the end of World War II from the Saxon State Library in Dresden. Albinoni composed the work around 1708. I created an introduction using Tremolo so as to ground the piece firmly in classical guitar ground. I then took the repetition of main theme at the end of the work and played it an octave lower and then duplicated it an octave higher to create contrast. I decided to omit the middle part altogether because it serves the violin perfectly with its long sustain capabilities but can be quite dull on the guitar. Update: May 14, 2015, .mp3, S.D.G.